Profile 00: Messerschmitt Bf 109E.7 Trop White 1 flown by Oblt. Wolfgang Redlich, Staffelkapitan of 1./JG27, mid. June 1941 This aircraft retained its European camouflage for some time after being flown to Africa and appears to have been finished in a particularly densely mottled uppersuface scheme of 02 and 71 with a splinter pattern in these colours over the wing and tail uppersurfaces. In addition, the aircraft has a yellow engine cowling and rudder and a white fuselage band, all of which must have rendered this machine particularly conspicuous in desert conditions. Twenty white Abschussbalken appear on the rudder. Photo 01: An air-to-air view of White 1, the Bf 109E-7Trop flown by Oblt. Wolfgang Redlich, who led 1./JG27 from 1 October 1939 until 5 December 1941. Photo's 02-03: When Oblt Redlich arrived in North Africa, he already had 10 victories and claimed his first two in the new theatre on 19 April when he shot down two Hurricanes near Tobruk. Redlich claimed a total of 26 victories in North Africa, bringing his total to 36, after which he was transferred to a staff position in Germany. Photo 04: A further view of the same aircraft parked in the centre of this line-up. Photo 05: In the foreground is the tail of Oblt. Redlichs aircraft shortly after 15 June 1941 when he accounted for his 20th victory, a Hurricane destroyed over Sollum. Profile 00: Bf.109E-4/N/Trop of 1./JG27 No 3. Libya, Northern Africa, Summer 1941. Photo 01: The early desert camouflage carried by the machines of I./JG27, shown in this photograph of 'White 3' flying over a flat, sandy area dotted with camel-thorn bushes, was very effective. Aircraft arriving later in North Africa were camouflaged on their uppersurfaces only in an overall sand color and lacked the green mottles. This applied to some Bf 109Es and certainly all Bf 109Fs operating in North Africa. Photo 01: Ground personnel fastening the engine cowling on Messerschmitt White 5, the Bf 109E-7Trop flown by Lt. Werner Schroer of I./JG27. The camouflage on the fuselage of this aircraft was in the form of a continuous wavy line, which later became known as the Wellen muster, or wave-type, camouflage. Photo's 03-04: Shown left in the photograph above and seated left on the wing of a Bf 109E is Lt. Werner Schroer of I./JG27 who transferred to 8./JG27 as Staffelkapitan in July 1942 and became a successful German pilot in North Africa, second only to the remarkable Hans-Joachim Marseille, with 61 victories claimed before the end of the African campaign. Profile Image 00: Messerschmitt Bf 109E-7 Trop White 6 of 1./JG27, Gazala, 1941 Finished in Sand Yellow 79 and Blue 78 colours, this aircraft is typical of the low-demarcation scheme applied after the earlier mottled scheme was discontinued. The engine cowling is yellow and the spinner is red with a white segment. Photo 01-02: A Bf 109E-7 Trop of I./JG27,White 6 at Gazala. Pilots who returned to Germany to collect new aircraft have remarked that the only external difference between their standard Bf 109s and those intended for North Africa was that the latter were fitted with a dust filter and it is assumed from this that such aircraft still retained their European schemes. Presumably, therefore, the new Sand 79 paint scheme was applied in transit, probably in Sicily. Photo 03: Another, almost identical White 6 to that shown above. Photo 04: An air-to-air view of White 6, a Bf 109E-7Trop of I./JG27. Photo 01: A pair of Bf 109E-7Trops of l./JG27 in North Africa. Photo 01: airfield scenes as I./JG27 prepares for the transfer flight from Sicily to North Africa. Note that all aircraft have already been fitted with sand filters. Profile 00: Messerschmitt Bf 109E.7 Trop White 10 flown by Fw. Gunther Steinhausen of 1./JG27, early August 1941 It is believed that this aircraft was finished in the new RLM colours specially developed for the North African campaign. The original Green 71 canopy was masked off when the machine was repainted, probably at a base facility in Italy or Sicily, with 78 undersurfaces and low-demarcation 79 uppersurfaces, over which Olive Green 80 mottles have been applied. Note that on this aircraft the unit badge is positioned further forward than usual and that the fuselage Balkenkreuz resembles the style normally reserved for the wing uppersurfaces. Photo 01: The Bf 109E-7Trop White 10, flown by Fw. Gunther Steinhausen of I./JG27, seen here in flight in early August 1941. Fw. Steinhausen was one of the more successful pilots flying with 1. Staffe1 and claimed his first victory, a Hurricane north ofTobruk, on 9 June 1941. He claimed his second, a Buffalo, near Buq Buq on 18 June. Curiously, although Steinhausen was then credited with two Hurricanes north-west of Mersa Matruh on 2 August, bringing his tally to four, the yellow rudder of his machine is marked only with three white victory bars. Steinhausen later increased his tally to 40 but was posted missing on 6 September 1942. By that time he had received the German Cross in Gold and the Knights Cross. He was promoted to Leutnant posthumously. Photo 01: ground personnel make final preparations for the transfer flight over the Mediterranean to Tripoli. Profile 00: Messerschmitt Bf 109E.7 Trop White 12 of 1./JG27, Sicily, May 1941 It is believed that this aircraft was re-camouflaged in Sicily and that for early desert schemes such as this, which first appeared as early as May 1941, stocks of Italian paints were used. Note the weathered, dirty white outline to the fuselage cross compared to the new white of the fuselage band and code number, indicating that the aircraft had seen some service before the desert camouflage and band were applied. Photo 01: Shown on Sicily in May 1941, this Bf 109E-7Trop, White 12 of I./JG27, was photographed before transferring to North Africa and shows the desert paint scheme which is believed to have been applied using Italian colours. This aircraft has been fitted with a Lw-Zielfluganiage Peil G IV direction-finder, as is evident from the fairing below the fuselage. Full details concerning the significance of the white walls to the tyres are still lacking but are believed to show that the tailwheel had special properties to aid the discharge of static electricity, while the white-walled main-wheel tyres were specially strengthened for use where airfields consisted of hard, rough ground. Photo 01: When British troops first found this Bf 109E-7, White 12 of I./JG27, in late 1941, its engine had already been removed but the rest of the airframe was relatively intact and was still standing on its wheels. The remains were then set alight and photographed for propaganda purposes. Eventually, the undercarriage collapsed and the wreck burned out. Image 01: Messerschmitt Bf 109E-7 Trop flown by the Staffelkapitän of 2./JG27 This aircraft is believed to have been finished in the Italian colours used by Luftwaffe aircraft operating in North Africa before the RLM had developed its own range of paints for this theatre. Not visible in this view is the white segment which is believed to have been painted on the spinner. Photo 01: This Bf 109E-7Trop coded Black 1 would normally have been allocated to the Staffelkapitan of 2./JG27. When this Staffel arrived in North Africa in December 1941, it was under the command of Hptm. Erich Gerlitz who retained command only until 25 December when he left to take over II. Gruppe. He was replaced by Oblt. Fritz Keller who then led the Staffel from 24 January to 18 March 1942. Profile 00: Messerschmitt Bf 109E.7 Trop of 2./JG27, Libya, 1941 In addition to its unusual mottled scheme of 79 and 80 over Blue 80 undersurfaces, Black 2 also has a non-standard variation of the fuselage Balkenkreuz which, with its wider than standard white segments, more closely resembles the style normally reserved for wing undersurfaces. Note that the auxiliary fuel tanks carried by Luftwaffe single-seat and heavy fighters at this time had no stencilling, the later, familiar warning Keine Bombe! only appearing to reassure the public that the object was Not a Bomb when, as a result of fighter operations over the Reich, jettisoned auxiliary tanks were often found by civilians. Photo 01: The mottled desert camouflage showed considerable variations, perhaps indicating the work of different hands, but while most examples had rather large, regular mottles, those on this Black 2 of 2./JG27 are smaller and more irregular. Photo 01-02: Color Photograph of Messerschmitt Bf 109E.7 Trop Black 3 of 2./JG27, Gazala, 1941 The camouflage colours and the pattern on this aircraft are unusual. Apart from the fading on the wing uppersurfaces as remarked in the caption to the photographs, the 02/71 has been greatly modified. Areas of 02 around the fuselage number show where a previous identity has been overpainted and a large area under the cockpit has also been repainted in a colour resembling Blue 76, over which have been sprayed Green 70 stripes. The spinner was Green 70 with a white segment. Profile 00: Messerschmitt Bf 109E.7 Trop Black 3 of 2./JG27, Gazala, 1941 The camouflage colours and the pattern on this aircraft are unusual. Apart from the fading on the wing uppersurfaces as remarked in the caption to the photographs, the 02/71 has been greatly modified. Areas of 02 around the fuselage number show where a previous identity has been overpainted and a large area under the cockpit has also been repainted in a colour resembling Blue 76, over which have been sprayed Green 70 stripes. The spinner was Green 70 with a white segment. Photo's 01-03: Two views of the same Bf 109E-7Trop, Black 3 of 2./JG27, believed to have been taken at Gazala. The aircraft has retained its European colour scheme of 02 and 71 on the uppersurfaces and Blue 65 undersurfaces, but, as the marked contrast between the tone of the black Balkenkreuz and the Green 71 on the wing shows, the 71, normally a very dark colour, has bleached to a medium green. Eduard Neumann, photo taken during World War 2.Photograph published in:German Fighter Ace- Hans-Joachim Marseille, Franz Kurowski, Schiffer Military History, 1994, ISBN 0-88740-517-7. Profile 00: Messerschmitt Bf 109E-7 Trop of 2./JG27, Libya, mid 1941. Relatively few Bf 109Es operating in North Africa were repainted in a full desert scheme and it is believed that on most that were, Italian camouflage colours were used, as on this machine. Note that the canopy was removed from the airframe during repainting, meticulously masked off, sprayed sand colour, and replaced after the main painting of the fuselage had been completed. Although a number of aircraft from this Staffel had their black numbers outlined in red, it was omitted from this particular example. Photo 01: Members of the Stabskompanie (ground personnel) refuelling a desert camouflaged Messerschmitt Bf 109E7Trop, Black 10, of 2./JG27. Obtaining sufficient quantities of fuel was a constant problem for the German forces in North Africa as many ships transporting fuel and other supplies were sunk by submarines and aircraft operating from Malta. Although obsolete, Royal Navy Albacore and Swordfish torpedo-carrying aircraft operating at night from land bases on the island were remarkably effective. The British obtained details of sailing dates, etc, from ULTRA. Photo 02: Seldom remarked upon is the fact that the right-hinged canopy of the ,Messerschmitt Bf 109 was almost unique and is found elsewhere only on a few later Italian fighters. Quite possibly this Black 10 is the same aircraft as shown above. The items of equipment, including signal cartridges, life jacket and sun helmet, stored behind the pilots head and back armour, suggest a transfer flight. Profile 00: Messerschmitt Bf 109E.7 Trop Yellow l of 3./JG27, 1941 The Yellow l was another aircraft which flew in North Africa still camouflaged in European colours, in this instance, probably in an 02/71 splinter scheme on the fuselage top decking and wing uppersurfaces. The fuselage sides were heavily mottled in these same two colours and all undersurfaces were Blue 65. Photo 01: The most popular kind of mission among the German fighter pilots in North Africa was the freie Jagd where the more aggressive or more skilled pilots would soon be noticed and perhaps be appointed Rotten or Schwarm leader. Once in that position and with a wingman to watch their backs, such pilots had the opportunity to build up their personal scores. This photograph shows Bf 109Es on a freie Jagd mission with Yellow 1 of 3./JG27 closest to the camera. From 1 February until 1 June 1941, and then again from August 1941 to 10 June 1942, this Staffel was led by Oblt. Gerhard Homuth and it is possible that this may have been his aircraft. After 10 June 1942, Homuth became Kommandeur of 1. Gruppe, which he then led until November 1942. Profile 00: Messerschmitt Bf 109E.7 Trop of 3./JG27, late Summer of 1941 Although this machine had seen service in North Africa for some months, the heavy exhaust deposit on the fuselage side indicates it had accumulated a considerable number of flying hours. Nevertheless, its paint finish is still in remarkably good condition and indicates that the repainting of aircraft in Luftwaffe tropical colours was carried out to a high standard. Apart from the fuselage number and the segment on the spinner, this machine lacked any of the usual yellow recognition markings. It is believed that the main camouflage colours were Italian with the green mottles being in a particularly dark tone similar to the later RLM 80. Photo's 01-03: Bf 109E-7 Trop, Yellow 4 of 3,/JG27 in the late Summer of 1941. Later, following the Allied advance into Cyrenaica which began on 9 December 1941, the remains of this aircraft, without wings or engine, were discovered on an abandoned airfield by British troops. Photo's 01-03: A series of photographs showing Yellow 7 of 3./JG27 during undercarriage retraction tests in North Africa. Werner Schroer was born on 12 December 1918 at Mülheim in Ruhr. His Luftwaffe career began in 1937 as a member of the ground staff. In May 1940 he completed his flying training. On 27 August 1940 he joined 2./JG27 based on the Channel front. He flew his first combat missions during the Battle of Britain but did not claim any confirmed victories. In March 1941, I./JG27 was deployed to North Africa in order to support the Afrika Korps under the command of Erwin Rommel. Schroer claimed his first victory, a RAF Hurricane, on 19 April 1941, however, his Bf 109E (WNr 3790) was hit and he had to make a forced-landing near his airfield with 48 bullet holes in his aircraft. On 21 April, in an engagement with RAF Hurricanes, an aircraft collided with his Bf 109E (WNr 4170) slightly injuring him and requiring him to make another forced-landing. By the end of 1941 his score stood at seven. In March 1942, he was appointed Adjutant of I./JG27. He was appointed Staffelkapitän of 8./JG27 on 22 June. In July he recorded 16 victories. While flying to his base alone, over north west Egypt on 29 August 1941, Caldwell was attacked by two Bf 109s, in a deadly simultaneous approach at right angles. His attackers included one of Germany's most famous Experte (aces), Leutnant Werner Schröer of Jagdgeschwader 27 (JG 27), in a Bf 109E-7. Caldwell sustained three separate wounds from ammunition fragments and/or shrapnel; his Tomahawk was hit by more than 100 7.9 mm bullets and five 20 mm cannon shells, but he shot down Schröer's wingman, and heavily damaged Schröer's 'Black 8', causing Schröer to disengage. On 9 September, he was awarded the Deutsches Kreuz in Gold. He shot down 13 enemy aircraft in September, including six on 15 September to record his 35th through 40th victories. In October, Schroer claimed 15 victories. Leutnant Schroer was awarded the Ritterkreuz on 21 October for 49 victories. On 4 November, Schroer, with Alfred Stückler (10 victories), shot down two four-engined B-24s. On 11 February 1943, Schroer reportedly shot down two RAF Beauforts, although he claimed them as B-26s. On 3 March 1944, Major Schroer scored his 99th victory and was appointed Gruppenkommandeur of III./JG54, relieving Major Rudolf Sinner (39 victories, DK) who had been badly wounded on 6 March attacking a formation of four-engined bombers III./JG54 was based at Lüneberg and flew the Bf 109G-6. Remarks: WIA 10 February, 1944 during aerial combat with '4 mots' near Lingen. WIA 17 July, 1943 during aerial combat with a B-17 near Esens. Injured in a crash on 21 June, 1943 when his A-5 accidentally touched the ground and crashed at the Aalborg West airfield (Source: Air War over Denmark). Magnus Report. A veteran pilot, his life was spared by Anton Hackl, when Keller and Lt Hermann Gern were found guilty of planning to flee the enemy near wars end. Gern was executed by firing squad on 7 May, 1945. One of Neumann's most successful achievements was the molding of the career of Hans-Joachim Marseille, giving the unorthodox fighter pilot a free reign to practice his tactics. Marseille went on to score 158 victories against the Western Allied Air Forces, a number no other pilot would match. In 1989 Neumann and other members of JG27 erected a Pyramid with the co-operation of the Egyptian Government on the place that Marseille fell to his death. Gerhard Homuth was born on 20 September 1914 at Kiel. He joined the navy but transferred to the Luftwaffe in 1935. In 1937 and 1938, he was a member of the Luftwaffe aerobatic team, at that time part of 2. (J)/LG 2. On 6 October 1939, Homuth was appointed Adjutant of I./JG27. He was appointed Staffelkapitän of 3./JG27 on 1 February 1940. He gained his first victory on 11 May, when he shot down a RAF Blenheim twin-engine bomber over Diest-Schaffen. By the end of the French campaign, Homuth had nine victories to his credit. He was add a further six victories during the Battle of Britain. In spring 1941, I./JG27 was relocated to North Africa. Homuth was to be particularly successful in this theatre. Oberleutnant Homuth was awarded the Ritterkreuz on 14 June for 22 victories. On 9 January 1942, Homuth shot down two RAF P-40 fighters, one near Marsa el Brega and another near Gadd el Ahmar for his 38th and 39th victories. It would appear the first of his two victories this day was the Australian ace, Sgt Ron Simes (5 destroyed, 1 probable and 1 damaged victories) of 3Sqn, RAAF, who was killed in the engagement. He recorded his 40th victory on 9 February, when he shot down a RAF Hurricane near El Adem. Homuth was appointed Gruppenkommandeur of I./JG27 on 8 June 1942. 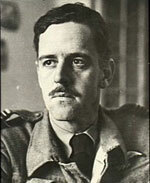 He recorded three victories on 27 July (50-52), all RAF Hurricane fighters near El Hammam, and his 60th on 27 October, when he shot down a RAF Spitfire fighter near Bir Mumim Busak. With the withdrawal of I./JG27 from North Africa, Homuth fell ill. In February 1943, he was assigned to the Luftwaffe delegation based at Sofia in Bulgaria as an instructor training Bulgarian fighter pilots. Homuth returned to front line duty on 29 July 1943 as Gruppenkommandeur of I./JG54 based on the Eastern front. On 2 August 1943, on one of his first combat missions, Homuth was engaged in a 20 minute dogfight with Russian fighters. He finally managed to shoot down an Airacobra fighter but failed to return from the mission in Fw190A-6 (W.Nr. 550 436) '<< +'. He has remained missing ever since.